Villages in remote parts of the Hindu Kush mountains are scattered and isolated, and far removed from the national electricity grid. Pinewood torches and costly kerosene lamps are the main source of lighting. AKRSP has installed micro-hydro power units that supply electricity for lighting and appliances to remote village communities. By 2010, a total of 204 hydro systems had been installed in Chitral province and about 20 elsewhere, supplying electricity for lighting and household appliances. Power output of AKRSP systems varies from about 20 to 75 kW, depending on the size of the community and the capacity of the river. Access to electric light provides safer and better illumination than pinewood sticks or kerosene. Children have more opportunity to study at night after helping in the fields. Children have heard about things like trains and planes, and now they can see them on the television. But the villagers are not without power. Local rivers are abundant. Recognising this, the Aga Khan Rural Support Programme (AKRSP) set about funding and building micro hydro power plants. Crucially AKRSP involved the villagers from the outset. Local committees were set up to manage installation and maintenance, including pricing. Local people did much of the initial work. By 2010, a total of 204 hydro systems had been installed in Chitral province and about 20 elsewhere, supplying electricity for lighting and household appliances. The plan is for larger plants to support cooking and heating, and two new programmes under development will reach a further 350 villages, funding permitting. For now though the impact is huge, both professionally and personally. People, especially the women, have more time for earning money, notably with increased production of Shu, the local woollen cloth. And they are healthier and safer, with more time to learn and to relax. Their world has become larger. Hydro power uses the energy of fast-moving water to rotate the blades of a turbine at high speed. The turbine turns an electrical generator. Local people involved in building their plant, and once it is commissioned a village-based management committee oversees technical operation and maintenance. Management committee also decides how to allocate electricity and levy charges. Families usually pay a connection fee, followed by an amount per kWh of electricity, with lower charges for poorer families. Better lighting provides women with more opportunities for income generation, for example the production of shu, a traditional woollen cloth, and other craft items. People visit each other more in the evenings and enjoy television, radio and laboursaving appliances. By 2010, a total of 204 hydro systems had been installed in Chitral province and about 20 elsewhere. New systems generally larger. Project of 103 systems (15 MW) registered for CDM carbon finance, another for 250 systems (30 MW) under development. The organisation AKRSP is a non-profit organisation established in 1982 by the Aga Khan Foundation of Pakistan. 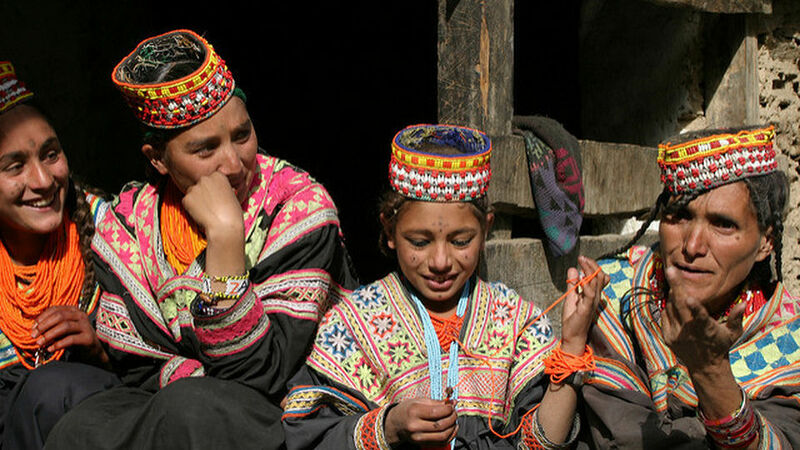 The main purpose of AKRSP is to reduce poverty in Northern Pakistan. 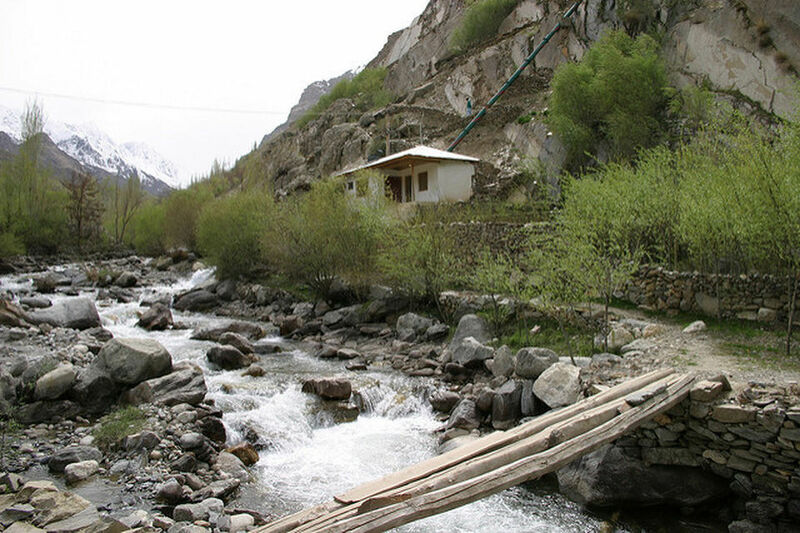 In 2010, more than 20 people worked on micro-hydro from the AKRSP Chitral Office, with a further 350 people, including hydro operators and watchmen in the villages, employed as a result of the programme. 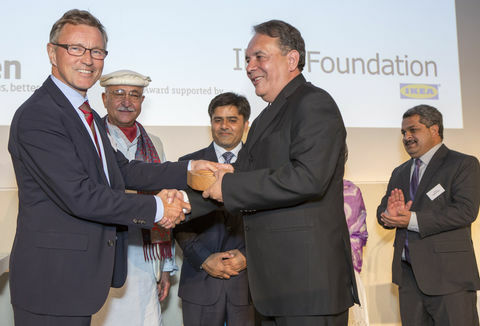 Funding for the micro-hydro programme has come from the Aga Khan Foundation, the Government of Pakistan, and a number of international donors. Hydro power uses the energy of fast-moving water to rotate the blades of a turbine at high speed. The turbine turns an electrical generator, which produces AC electric power. The power output of the systems installed by AKRSP varies from about 20 to 75 kW, depending on the size of the community and the capacity of the river. The turbine, generator and control systems are located in a small turbine house in the valley, from where distribution cables supply power to nearby homes. Each village must set up a management committee, which is responsible for both finance and maintenance. AKRSP requires the committee to pays for an operator and a watchman for the hydro system, and build up a maintenance fund to pay for repairs. The committee decides how to allocate electricity and to levy charges. 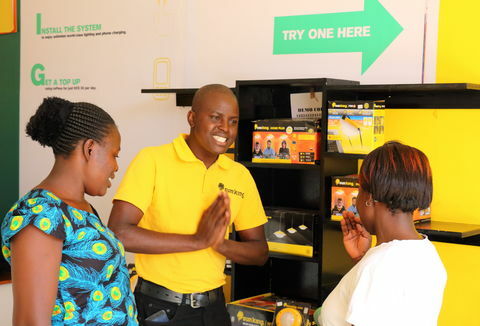 Typically, families are charged a connection fee of US$110 (Rs 6,000) and then pay about US$0.07 (Rs 4) per kWh of electricity, with lower charges for poorer members of the community. Some committees charge more for households to use appliances like washing machines that have high electricity demand, and manage the electrical load by restricting their use in the evenings when for lighting and television are wanted by all. Some communities sell surplus electricity to businesses, schools and government offices. All the components of the hydro systems are made in Pakistan, except for the generator and electrical meters, which are imported from China. The active involvement of local people is key to the success of the schemes. ‘Village organisations’, formed by the communities with the support of the AKRSP, provide the framework by which local people contribute cash, materials and labour for the construction of the canal and other parts of the micro-hydro system. A fraction of the river water is diverted into a gently sloping canal running along the side of the hill. After some distance, the water from the channel is sent down a pipe, known as a ’penstock’, with a narrow exit jet. The falling water has sufficient force to rotate the blades of a Pelton turbine, which turns the 220 volt electrical generator via a V-belt drive. (The water is then released back into the river. A gate valve in front of the turbine is used to regulate power output to meet electricity demand. After turning the turbine, the water is released back into the river. Once the hydro scheme is commissioned, the village management committee oversees its operation. AKRSP trains the operators, and keeps in contact through six-monthly feedback meetings with a ’master trainer’ who is responsible for a group of 15-18 micro-hydro units. The prime responsibility for maintenance and repair is with the village management committee, and follow up checks suggest that over 90% of the systems are well maintained. By 2004, AKRSP had installed over 180 micro-hydro systems with a total capacity of over 10 MW (average about 60 kW per plant). These provided electricity to about 17,500 households or 175,000 people, which about half the ‘off-grid’ population in the region. Environmental benefits Micro-hydro schemes have minimal local environmental impact, because they do not require large dams to retain water. 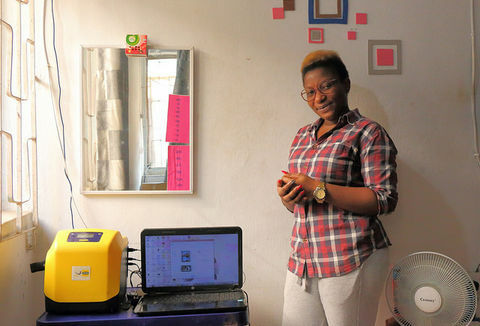 Electricity from the schemes reduces CO2 emissions from kerosene lighting and diesel generators, although these savings had not been quantified in 2004. Deforestation is an enormous problem in the region, and fuelwood for cooking and for heating in the cold winters is scarce. In parallel with the micro-hydro work, AKRSP ran a reforestation programme which planted about six million tree seedlings per year. Access to electric light provides safer and better illumination than pinewood sticks or kerosene and has reduced the number of burns associated with cooking, and the hazard of scorpion stings. 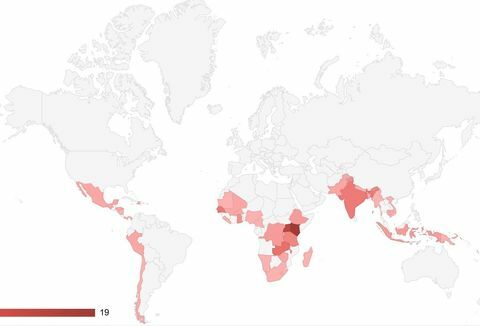 Children have more opportunity to study at night after helping in the fields, and this is making a major difference to the quality of their education. Lighting also means that people visit each other more in the evenings. Lighting at night provides women with opportunities for income generation, for example the production of shu, a traditional woollen cloth, and other craft items. Households enjoy news, entertainment, and education programmes on television and radio, and feel more linked to life in the rest of the country. Some communities have clubbed together to buy a communal television. Some families have also bought other appliances to make life easier, including fans, butter churners and occasionally washing machines. AKRSP can provide the technical support and understanding of management needs, to install similar systems elsewhere. This has led to the introduction of micro-hydro schemes in other parts of northern Pakistan, and also across the border in Afghanistan. The micro-hydro programme has continued to expand, and larger plants are now being installed as well. By 2010, 42 new plants with 5.2 MW capacity (average 120 kW per plant) had been installed, bringing the total to 204 in Chitral province and about 20 elsewhere. The early micro-hydro units installed were not large enough to support cooking and heating, since these activities use much more energy than lighting and small appliances. AKRSP used part of its 2004 Ashden Award to look at future options for providing heat, including larger micro-hydro systems (where water supplies are sufficient) and lowwattage radiators, and the rest to part-fund a new micro-hydro scheme. AKRSP wants to strengthen and grow the micro-hydro sector throughout Pakistan. However, the donor finance which supported the AKRSP programme in the 1980s and 1990s has reduced. The Ashden Award encouraged AKRSP to look at carbon finance. In 2009 a project for 105 micro- and mini hydro plants (15 MW) was formally registered for Clean Development Mechanism (CDM) finance with the UNFCCC. This project will generate over 0.5 million tonnes of CO2 savings (0.5 million ‘certified emission reductions’) over seven years, worth about US$ 6 million. A further programme of 250 plants (30 MW) in Chitral and Gilgi-Baltistan is being developed for carbon finance.